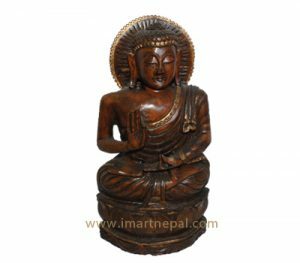 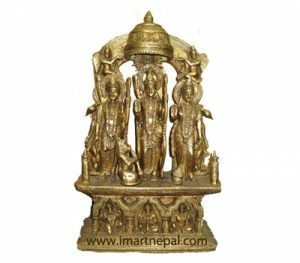 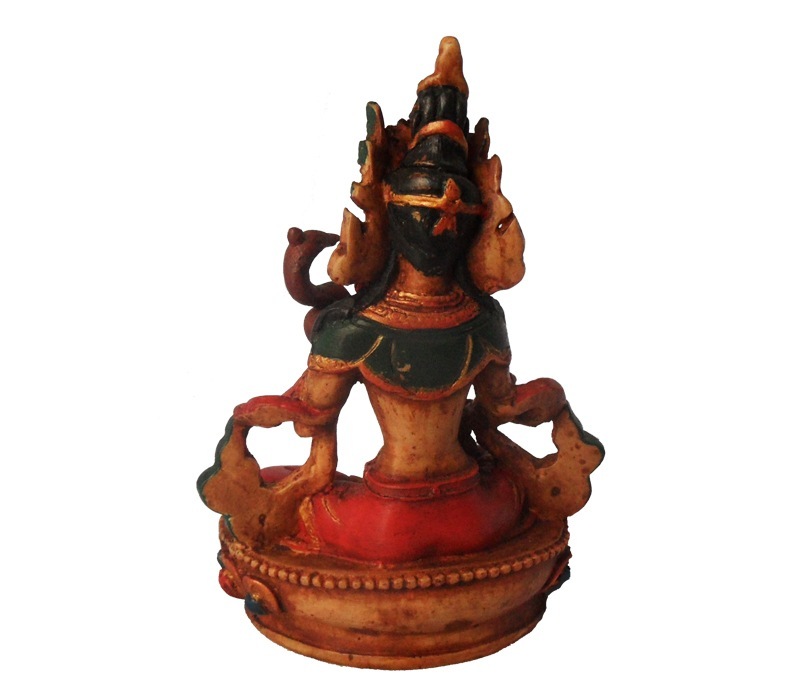 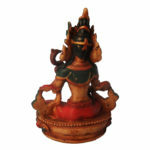 Saraswoti is the Hindu deity of wisdom and learning. 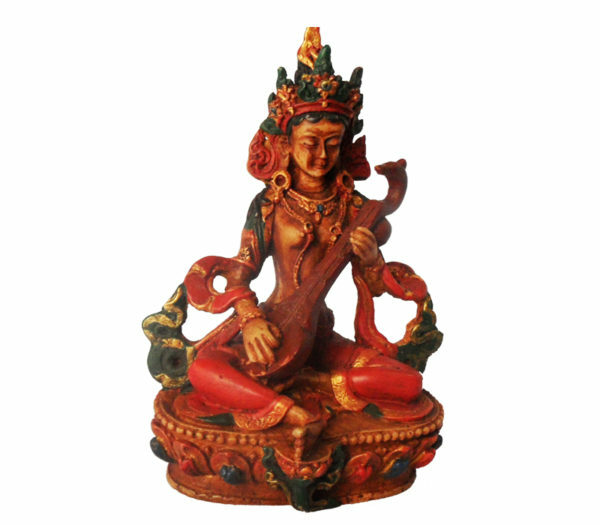 She is widely worshipped by aspiring students and seekers of knowledge to bestow her blessings for fruitful results. 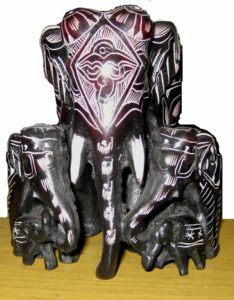 The ceramic Saraswoti statue featured here includes the deity sitting on a pedestal with folded legs holding the 'Veena'. 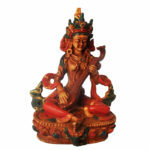 The deity is adorned with an elaborate crown, necklaces and other jewels. 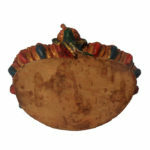 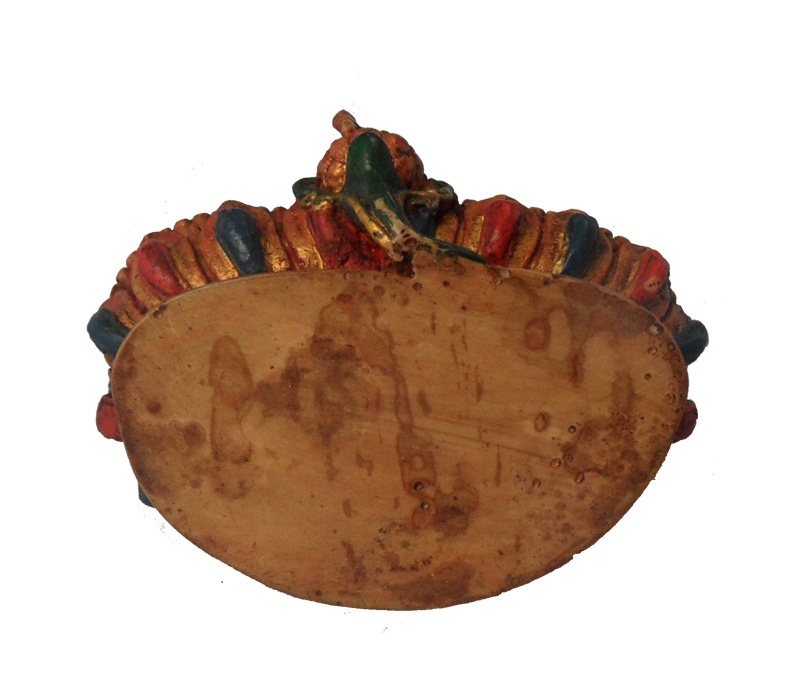 Weighing 300 grams the multi-toned ceramic art piece makes for a good display in study rooms and personal offices.